If you are suffering from any visual acuity problems, the best solution would be, to wear prescription glasses to correct and improve your vision. The thing is, not all lenses are the same. There are poorly made lenses in the market today that worsen the vision. This is specially true for those who purchase over-the-counter reading glasses that does nothing, but impair your vision further. Fortunately, there are eyeglasses lens makers like Essilor that can help you find the most perfect lenses for your visual acuity problems. Myopia or nearsightedness occur when the distance between the retina and the cornea are to great. The person suffering from this visual acuity problem see images that are near without problems, but far away objects and images appear blurry. To correct this eyesight problem, the individual suffering from it can wear eyeglasses with divergent lenses. Divergent Essilor lens are those that are thin in the middle and has thicker edges. This type of lenses are more commonly known as concave or negative lenses. The problem with this kind of lenses is the fact that the higher the level of myopia is, the thicker the lenses would be. Hyperopia or farsightedness is caused by the short distance between the cornea and the retina. Individuals suffering from this visual defect can see far away objects and images just fine, but objects that are near appear blurry. To correct this, convergent lenses are used. This type of lenses are more commonly known as positive convex lens, this type of lens are thicker in the center and thinner on the edges. Astigmatism occurs when the shape of the cornea is imperfect (oval instead of spherical). The most common types of astigmatism are module and axis. Most individuals suffering from astigmatism have imperfect vision that cannot distinguish image sizes, lines and shapes. Through their cutting-edge-technology, Essilor Lenses are thinner, more precise and comfortable to wear. These lenses are light which makes prolonged wearing more comfortable and bearable. Today, there are several lens types Essilor International offer to correct the visual acuity problems mentioned above. SUNprotection – This type of lens is for those who frequent the outdoors and high lighted environment. This lenses are made to protect your eyes from harmful UV light that the sun emits. CITYtrends – CITYtrends lenses are for those who have an active lifestyle, but wants something that is in style. MEDICALvision – This is for those conscious about their visual health and well being. If you are looking for something that combines your opthalmic lenses with fashionable tints, this one is for you. If you are looking for computer eyewear that will protect your eyes from Computer Vision Syndrome (CVS) or eye fatigue from staring at your computer screen from prolonged period of time — try Essilor Visual Fatigue Lenses. 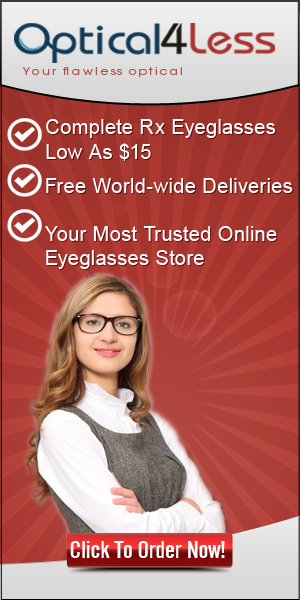 These lenses are best to incorporate in your computer glasses to free yourself from the harmful blue light your computer screen emits. It features “power boost” in the lower area of the computer lenses, this is especially helpful for those suffering from nearsightedness. Essilor Computer Lenses also features larger intermediate areas for better performance for those who work on their computer for long extended hours.